New customers only. £10 min dep. bonus 200%. 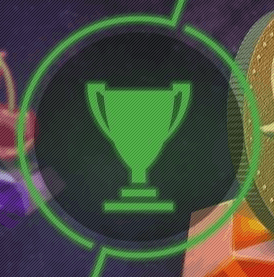 Bonus Wager, 35x in 30 days..
One of the absolute monsters of the online casino world, Unibet have definitely cemented themselves as one of the best online casinos around and it is completely justified. First off, they cater for an unbelievable array of languages, 26 of them in all, including but not limited to English, German, Dutch, Spanish, Polish, Norwegian, Danish, French, Italian, Portuguese, Romanian and Latvian. If you speak a language, chances are Unibet can talk to you. Having recently ramped up their online advertising to pull in the punters it was important that the website was ready for the new visitors from a design perspective and also from a function perspective and it’s safe to say that they were more than ready. The website looks fantastic and runs seamlessly with everything exactly where you would expect to find it. The navigation between different parts of the site and to different games is simple and obvious. A really good website to use. 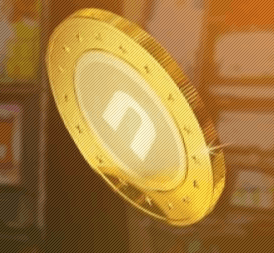 To call Unibet an online casino is actually a bit unfair to them as it as far more than that, with live sports betting and live dealers, it is more of a gambling experience than simply an online casino. 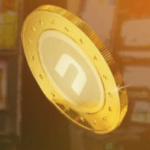 If you want to gamble on something or in some specific way, no matter how obscure it is, Unibet will be able to accommodate and provide you with a dazzling gambling experience. When it come to casino spins on Unibet, they are second to none. They are without a doubt one of the most generous casinos that gives out casino spins on reguarly basis to signed-up players. Make sure to check out free-spins.org first page for daily offers on Unibet. If you’re lucky enough, check out your country section to see current offer on Unibet for new players. As mentioned there are bonuses available and these come in the form of boosted deposits. You place a deposit and Unibet will give you a bonus amount for this. 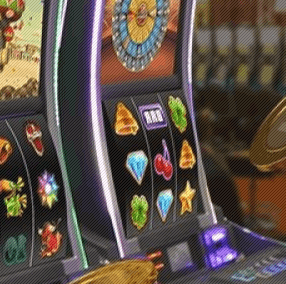 You do have to wager this bonus amount a significant number of times before you can withdraw it but that is no different to any other online casino so shouldn’t put you off. Obviously, as one of the largest gambling companies in Europe, with over 5 million customers in 100 different countries, Unibet have a mobile gambling app. It is one of the better ones as well, with increased button size to aid with pressing and a slimmed down interface to aid quick loading, even in poor signal areas. You are obviously somewhat limited to the quality of the graphics because of the smaller processing power of your phone compared to a laptop or desktop but with the ever pressing advancement of mobile technology this difference will become less and less apparent over the years. A solid mobile accompaniment to the full browser version. As you would expect from a casino site of this magnitude, the selection of games is truly mind boggling. There is obviously the live sports betting of the site but there is also a specific poker zone with an almost unrivalled selection of poker games and modes, a live casino area where you can play with live dealers and a games specific zone for the more light hearted, easy going gamers out there. This is all before we even get to the casino specific section of Unibet where you have access to table games, card games, slots, video slots blackjack, craps, baccarat, roulette and a whole load more. 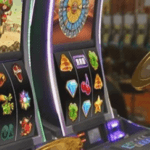 As you would expect, the jackpots on the games on Unibet are of a good size and they have some truly monstrous progressive jackpots to really get the dollar signs rolling around your eyeballs. It can be quite easy to get carried away on Unibet with the vast array of games and jackpots on offer. Try your best to remain with reality. The support is excellent, helped by one of the largest customer service teams in the online casino industry. You can get in touch using a whole manner of methods including live chat, email and telephone and you tend to get a response within 24 hours for emails and almost instantly for live chat and telephone obviously. There are some bad reviews of the customer service out there but that is bound to happen when you deal with as many queries and requests as Unibet must do, you can’t please everyone but it is a solid support service. What market leading casino would be complete without a whole plethora of payment options. You can make deposits with major credit and debit cards, or by bank transfer or by a whole massive list of specific payment tellers. The money is in your account almost immediately allowing you to get cracking playing. Question: I forgot my password. How can I reset it? Answer: If you forgot your password, you can reset it by clicking on the “Forgot?” button that appears with the password prompt. You will be required to enter an email address. You just have to click the link that will be sent to your email. Just wait a few moments to recover the password that will be sent to your SMS. You can also retrieve it by answering a security question. Answer: The process is simple and convenient. You just have to upload a clear photo or screenshot of the required documents. Make sure the important details are not cut – otherwise your submission will not be accepted. Take note that there is a timeframe that will be set and you have to complete the verification process before it expires. Otherwise, account access, deposits, and withdrawals will be restricted. Question: How can I make a deposit? Answer: There are various options to deposit through credit or debit card, e-wallet, and bank transfer. Just go to the Deposit Money page and choose the payment method you prefer. Among the options include VISA, MasterCard, ecoPayz, Webmoney, Skrill, Neteller, Trustly, Paysafecard, Instant Banking, and Bank Transfer. The instructions to complete the deposit will depend on the payment method – just follow the steps carefully. Question: How can I make a withdrawal? Answer: Go to the Withdraw Money page to make a request for the withdrawal. Ideally, you should use the same method as your deposit. The options include VISA, MasterCard, ecoPayz, Neteller, Skrill, Trustly, Bank Transfer, and Direct Banking. Follow the instructions after you have chosen the payment method. Question: What security measures does Unibet have to keep my information safe? Answer: All the data stored or exchange through the site are encrypted by a 128-bit SSL technology. All the security systems used are regularly tested and audited by security experts. 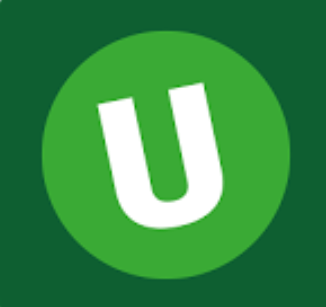 Unibet also ensures that they comply with industry standards when it comes to payment processes and methods offered.